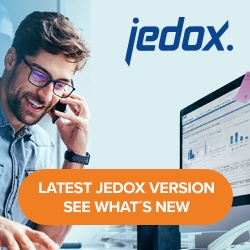 You can define the Jedox Mobile theme via specific settings in the Administration of Jedox Web. There you can create keys with hex code values for colors, and base64-encoded strings for images. When a mobile app connects to the server, it will apply these values. For more information about setting keys, see this article. You must set the base64-encoded string values without the base64 prefixes. Note: all keys need the prefix mobile.theme., regardless of whether the folder Mobile/Theme already exists or not. The logo shown in the header of the navigation drawer and at the top of the login mask. The image shown behind the login mask. Color that fills the login background (img_login_bg). The background color of views, e.g. color behind report items (can only be seen when logged in). The color of activated toolbar icons if filter/micro charts are active. The color of the Android status bar. The background color of the navigation drawer menu. The background color of an active navigation drawer menu entry. Text color of an active navigation drawer menu entry. Text color of all non-active navigation drawer menu entries. The color of the bars in every power grid cell, if the shown value is a positive number. The color of the bars in every power grid cell, if the shown value is a negative number. Background color of the iOS topbar and statusbar. Color of unchecked tabs in the iOS topbar. Colors of the ad-hoc chart lines. Values separated by comma, semicolon, or space. To control the list of reports shown in the Jedox Mobile app, you can now define a specific Report Group from Reports in Jedox Web. In Settings, set the name of an existing Report Group, the contents of which you want to be shown in Jedox Mobile app. Default report group for the user set in Jedox Web’s options. Optionally, you can also define a specific Reports hierarchy from this group to be shown. If this key doesn’t exist, the app will show the contents from the first hierarchy in the group. Default hierarchy for the user (this is the first hierarchy unless specified otherwise in Jedox Web’s settings). Default file group for user (this is the first file group unless specified otherwise in Jedox Web’s settings).